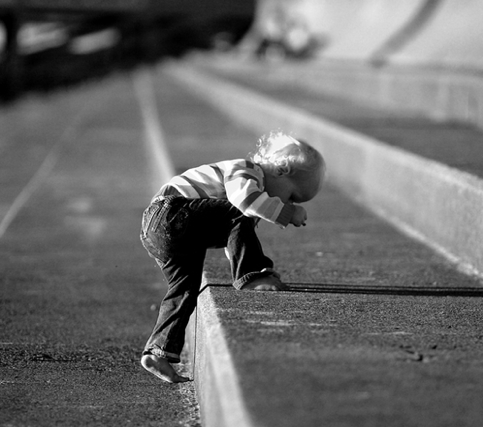 When you see this image, are you as confident as I am that this little one will succeed in climbing those giant stairs? Are you as confident of achieving your own goals? If not, I’d like to explore why that might be. One possibility: We adults have a fundamentally different mindset. And this mindset of ours may not always serve us well. "[L]earning from mistakes is something babies and toddlers don’t mind at all. Watch a baby struggle to sit up, or a toddler learn to walk, you’ll see one error after another, failure after failure, a lot of challenge exceeding skill . . . very young children don’t seem tortured while trying to do things they can’t yet do." Notice the next-to-last word. “Yet” is an important part of this mindset. “Yet” leaves the door open to achieving in the future what is not possible today. Sadly, according to Duckworth, Bodrova and Leong found that the young child’s mindset changes around the time of kindergarten entry, when children begin to see adults responding to mistakes with embarrassment, fear and shame. They then adopt these self-limiting attitudes for themselves. “I can’t do this yet” changes to “I can’t do this.” To alter this way of thinking, Bodrova and Leong have designed a curriculum in which teachers are taught how to model emotion-free mistake making. What would be possible if we adults learn to think of our “failures” differently? In Integrative Health Coaching, we set out to learn from success, partial success and failure alike. Mistakes and missteps become opportunities to find new ways of tackling a goal. Consider, for example, the client who quit smoking for three months a year ago, then relapsed and has been smoking ever since. In the typical adult mindset, this would be a failure. In coaching, we don't look at it that way. We would explore what led to that three months of success and acknowledge it as an achievement. Then we would look, without shame, at what triggered the relapse. For example, the client may have resumed going out with smoking friends after three months and felt social pressure to light up. Waiting longer to re-enter that scene, or being prepared with a different response to the pressure, may have made a difference. If we notice with curiosity what was going on when we strayed from our plan, we gain insight. If we go further and avoid judging ourselves a failure, we empower ourselves to consider what we might do differently and make a new plan. When we set aside embarrassment, fear and shame, the next step is far less intimidating. Let’s try to learn from infants and toddlers and engage in emotion-free mistake making. I predict it will help each of us succeed in climbing some giant stairs of our own.